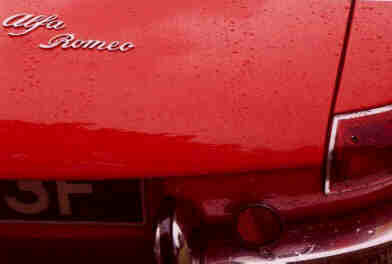 Some of the Alfa Romeo Spider 1966 to 1994 details and points of significance over the years . Launched March 1966. Official name was Alfa Romeo 1600 Spider and not "Duetto". 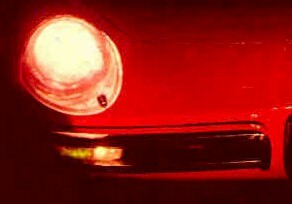 Alfa Romeo never ever used anything but 1600 Spider. Head light cowles by Perflex. Popular design like Ferrari and Jaguar E-type. Alfa continued until the mid '70s with this arrangement in Europe. The 1750 Veloce had the same cowls in Europe. The Duetto was also nick-named "boat-tail" and "Osso di Seppia", which means "cuttle-fish-bone". 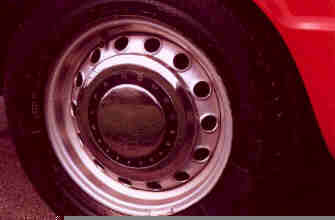 Wheels were 15 x 4.5in with flush-fitting separate-clip hub caps made by CMR or Fergat. Optional dimension: 15 x 5in and 15 x 5 1/2in. Front light units amber/white and rear light cluster amber/red. All European roundtail spiders look the same in this respect. Bootlid badging was Alfa Romeo"-script on the right side. Grill showing raised dimple just over the grill in the front panel. Traditional badge with cross and serpent plus Milano. The photo shows a US car with round indicators front of the wheel. Wheels are not original, these are 6,5x14 and without hubcaps. Front and rear bumpers were separated by grill in front and at rear by license plate. The photo shows a Scandinavian Roundtail with optional Revolution rims, a popular out-fit. 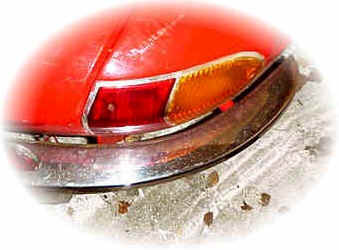 The exhaust tailpipe exits the bodywork with the split bumpers on each side and comes out to the left of the license plate. Inside boot there was a rubber mat. There was plenty of space for two people and their luggage. 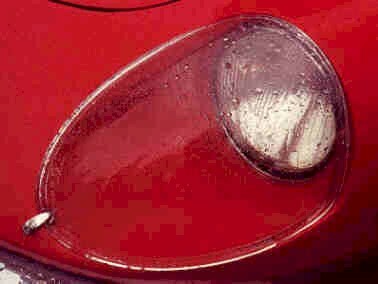 Chromed clap-hands wipers were standard but very effective. They were replaced on the Kamm-tail by traditional wipers. Fuel filler flap was round, beautiful design. The filler is on the left rear panel. Bonaldi vacuum brake servo fitted from mid-1967. Single circuit system, pedal arrangement was on the floor. Steering - early Duettos had Burman recirc ball which was later replaced by ZF worm and roller. Mohair hood was easy to rise. Seats were of the vinyl type. The red carpet was an optional which made the interior more exclusive. Rubber mats on floor were often swapped for real high quality carpets instead. The door trims incl handles and a ticket pocket in footwell. Note the plastic steering wheel. This is a www.veloce.se site.